Our most popular post reported on a survey we did asking exhibitors how they valued, chose, and use trade show giveaways. The report featured charts, exhibitor quotes, and insights on getting the most results with these ever-popular trade show promotions. Click to read the article here. Our clients tell again and again they want our interactive trade show games to help get more attendees to their booth. So it’s little surprise this article was so popular. Other ideas included product demos, experiences, technology, entertainers, and social media walls. Click to read the article here. If a picture tells a thousand words, this post was a novella. Lots of examples helped show our popular Challenge Bar Trivia game gathering engaged crowds, integrating with exhibit designs, and customizing to match exhibitors’ branding. Photos also showed attendees posing proudly with their winning game scores and prizes, and booth staffers posing with their trivia games. Click to read the article here. Lead retrieval is about as fun as pulling weeds, but more complicated. So, it’s all too easy to blunder into errors that harm your lead follow up and sales. Mistakes revealed include those made by staffers, tech problems, and incomplete processes. Click to read the article here. Over the years our clients have shared with us lots of reasons why they like our trade show games, so we gathered them all up in one place. Great for sharing with your colleagues who don’t quite understand the many substantial (and sometimes surprising) ways interactive games improve your exhibit marketing. Click to read the article here. Meetings are boring when presenters don’t engage their audience. And there’s no reason to be boring when you can read this article that shares best practices, such as scheduling interaction, “Googling” your audience, creating a feedback loop, and more. Click to read the article here. While we all like to have fun, we still have to produce results at the end of the day. This popular post showed that exhibitors can do both. That’s because interactive trade show games aren’t just amusing, they help exhibitors achieve all their top trade show sales and marketing goals. Click to read the article here – especially if you need a smile – you can’t see the article’s photo without grinning. Many exhibitors are frustrated by smaller shows without badge scanners, where they have no easy way to gather lead data. In this post we offer three solutions (gather business cards, use interactive trade show games, use owned lead capture apps), weighing the pros and cons of each. Warning: one choice is perilous to your ROI. Click to read the article here. Another popular lead capture blog post was about lost overflow leads. This is when the booth is so busy, all booth staffers are taken, and willing potential leads walk away. This was a problem (and solution) we discovered when we were swamped at our own industry show, yet still captured those leads with our Digital Fishbowl game played on an iPad kiosk. Click to read the article here. Our final “Top 10” blog post dealt with the unrealistic expectation of complete attendee participation in events, especially with 5 common engagement activities. Then I reviewed the 6 different kinds of attendees you have at your events, and how to increase participation from those most likely to get involved. Click to read the article here. 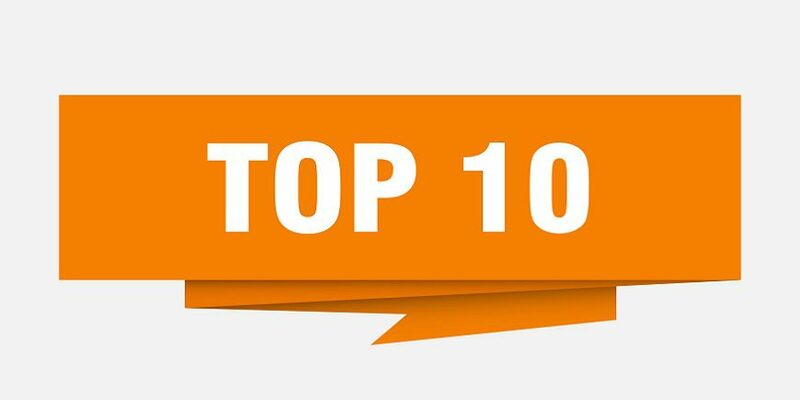 These 10 articles are the most popular we posted this year. They offer insights on event engagement, trade show games, promotions, activities, and lead management. We invest a lot of effort in writing these blog posts to help you improve your trade shows and events. Yet we benefit tremendously ourselves, as we learn so much while authoring them. If you’d like to see more about how you can drive more booth traffic and get more qualified leads with our interactive trade show games, or boost attendee engagement with our event technology, feel free to contact us with questions or to discuss your event with one of SocialPoint’s Digital Strategists. We’ll help you generate excitement, crowds, engagement, and leads.